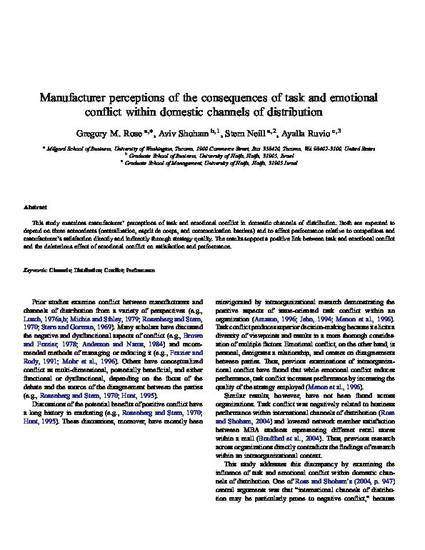 This study examines manufacturer' perceptions of task and emotional conflict in domestic channels of distribution. Both are expected to depend on three antecedents (centralization, esprit de corps, and communication barriers) and to affect performance relative to competitors and manufacturer's satisfaction directly and indirectly through strategy quality. The results support a positive link between task and emotional conflict and the deleterious effect of emotional conflict on satisfaction and performance.